Not a card, but an original candid fan photo, dating sometime between 1954 and 1957. Printed on period Kodak deckle edge paper. Don Zimmer heads to the dugout after batting practice at Ebbets Field. Really like the snapshot; very cool! That's a killer photo...nice addition! Pretty happy about these 3 additions. All 3 check off sets I needed. 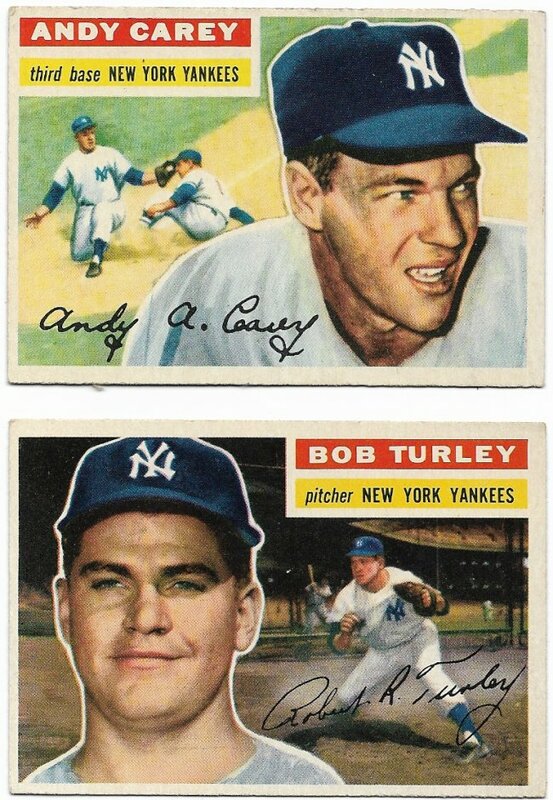 For the HoF collection I needed Traynor and Appling. Although I have Foxx in another set, I felt like I got a great deal on the '38 Dixie Lid and couldn't pass it up. The colors on the '48 Leaf are stunning. The “Appling” of my eyes! Great color! Very nice pickups!!! Some recent pickups. Working on a couple AS sets. Always looking to add to my vintage pc's and set needs, let me know what you've got! Very nice! How many more do you need? Since you don't need 2 Mantles for the set, you can send me over the PSA 1. Haha. Very nice additions. Love the set. Kind of in a Dixie Lids run right now. I may have to work on different backs sometime, but for now, this will do. 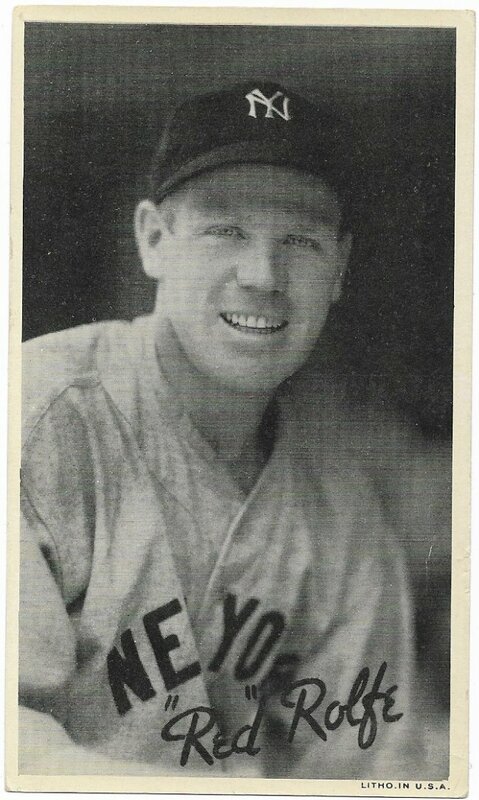 Red Rolfe completes my 1936 Goudey Wide Pens (R314) Yankee set!!! A great looking card. Congrats. Just doing the Yankees for White Backs/Gray Backs. Good news is that I will add a Mantle to my collection. Bad news is that I have to save up money to buy a Mantle for my collection!!!! !